PODCASTS NOW ON TUNEIN RADIO!!! CLIFF NOTES IS THE BEST CLIFF RICHARD FEATURE ON THE PLANET and this week we hear Cliff singing duets with Phil Everly, who died last week. They made some great music together as you’ll hear in today’s show. Anne Cecil has “Winter White Sales” on her mind for this week’s Fashion Matters. And, as always, she has some nifty tips and suggestions. 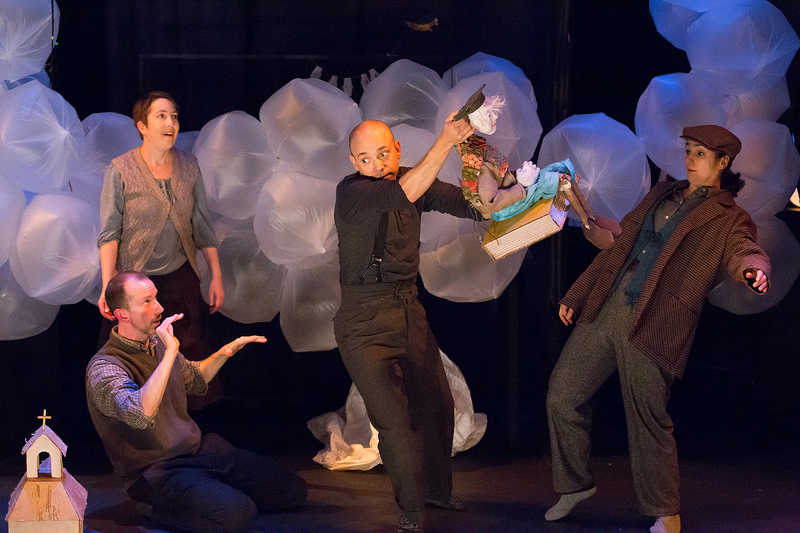 Lantern Theater Company was founded in 1994 by Charles McMahon and Michael Brophy, and it’s located at St. Stephen’s Theater at 10th & Ludlow Streets in Philadelphia. Charles is Lantern’s Artistic Director. Lantern is currently presenting: “A Childs Christmas in Wales” by Dylan Thomas. 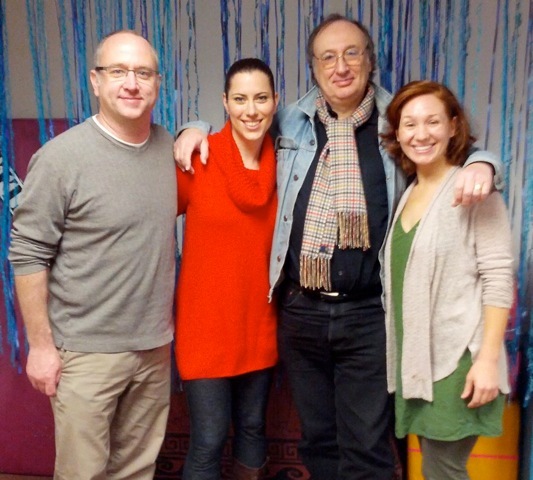 The players are: Charlie DelMarcelle, Amy Smith, Doug Hara, and Geneviève Perrier (Photo by Mark Garvin). The play is designed and directed by Sebastienne Mundheim. My Special Guests are: Charles McMahon and Charlie DelMarcelle. On Projections from Bryn Mawr Film Institute Juliet and Valerie and I remember actress Joan Fontaine who died last week. On World Views, Craig Snyder president of The World Affairs Council Of Philadelphia looks back on 2013. HAPPY NEW YEAR ENJOY THE SHOW! Jersey Boys won four 2006 Tony Awards including Best Musical, Laurence Olivier Award for Best New Musical and Grammy Award for Best Musical Show Album. The musical opened on Broadway in 2005 and has since had two North American National Tours and now it is back in Philly at the Forrest Theatre. The Jersey Boys in question formed the most popular pop group before the Beatles in the 1960s – The Four Seasons – Frankie Valli, Bob Gaudio, Tommy DeVito and Nick Massi. 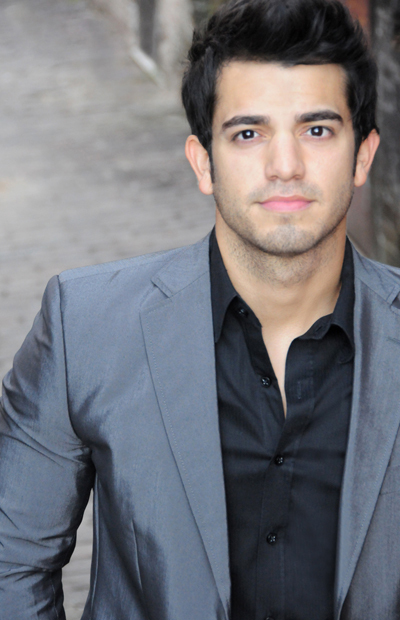 My Special Guest is HAYDEN MILANES one of 2 actors in the touring company who plays Frankie Valli. Phill & Jill’s Brilliant Wine Sketch from JET Wine Bar features two amazing and affordable sparkling wines for the coming week’s festivities. On Projections from Bryn Mawr Film Institute Juliet and Valerie and Devin and I remember actor Peter O’Toole who passed away this past week. On World Views, Craig Snyder president of The World Affairs Council Of Philadelphia tells us that despite the news there really is peace on Earth. On this week’s Fashion Matters, Anne Cecil devotes her feature to the guys in the audience who are looking for fashion forward outfits for Christmas and New Year’s Eve parties (especially if you want to look like a rock star) including dressing down a tux. CLIFF NOTES IS THE BEST CLIFF RICHARD FEATURE ON THE PLANET and this week OUR FACEBOOK FRIENDS HAVE CHOSEN THE TRACKS!!! This week’s Special Guest is a music legend. The man labelled “U.K. Punk’s Dark Lord” by Rolling Stone. He was born in Tufnell Park North London and formed the Guildford Stranglers, later known as The Stranglers, who rocked to the beat of their own drummer rather than any specific genre pigeon hole. He recorded ten albums with the Stranglers over sixteen years and has since had a very successful solo career releasing 9 albums and he also a career as an author. 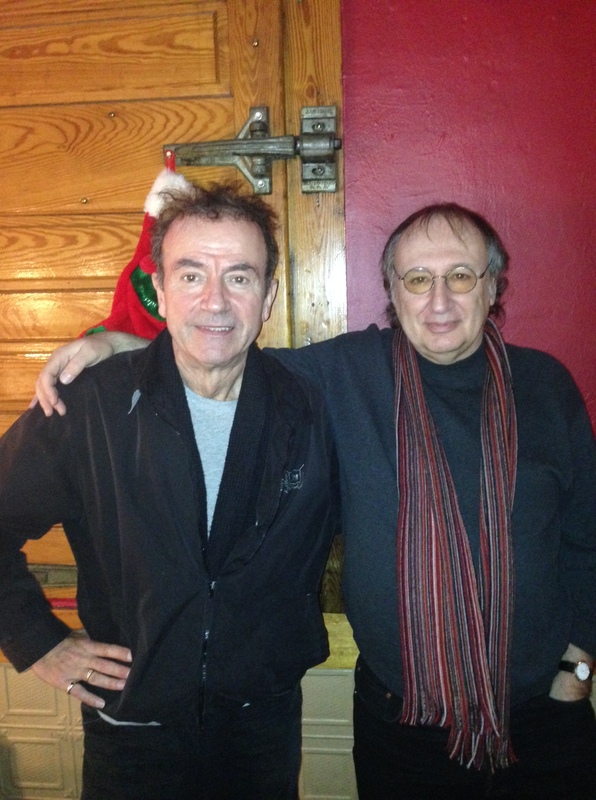 My guest is the unique Hugh Cornwell. On Projections from Bryn Mawr Film Institute Valerie and Devin and I discuss the new Christmas films. On World Views, Craig Snyder president of The World Affairs Council Of Philadelphia talks about health care. On this week’s Fashion Matters Anne Cecil suggests some Christmas Table decoration ideas. I’m at Peoples Light and Theatre in Malvern PA with two gorgeous ladies and a bloke. The ladies are Miss Ella Opfinder aka Cinderella aka actress Kim Carson and Sudsy Squirrel aka Liz Filios. And the bloke is Pete Pryor who directed these actresses and the rest of their company in Peoples Light’s far too entertaining current production of Cinderella this years pantomime. Phill & Jill’s Brilliant Wine Sketch has part 2 of our chat with David Laird from The Balvenie Single Malt Whisky producer who shares more insights and slurps into the splendid nectar at JET Wine Bar. On Projections from Bryn Mawr Film Institute Valerie and Devin and I discuss more movie news from both sides of the projector. Cliff Richard: What’s Love Got to Do With It?